If a British summer holiday is on the cards, rent a car and drive down to the beautiful city of Panchgani to stay in one of the city’s oldest and popular place, Hotel Prospect. 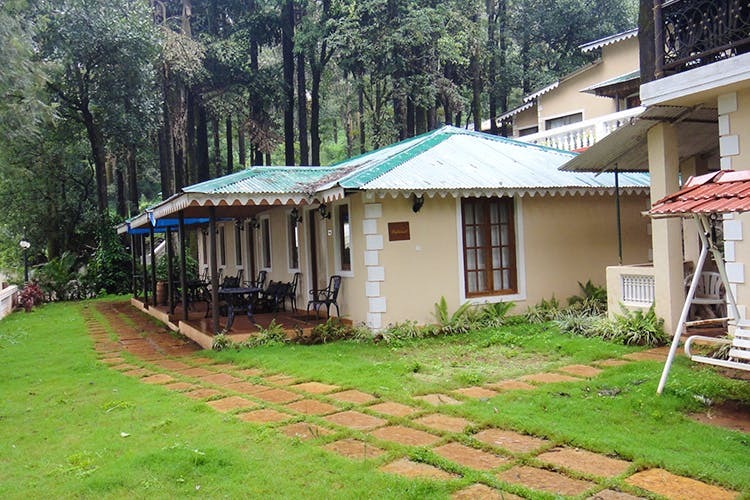 Hotel Prospect prides itself for championing tourism in Panchgani owing to its historic roots going as far back as 1912. With its borrowed colonial architecture, akin to the good old flats in London’s boroughs, Prospect has stood its time. It’s charming, peaceful, and perfect for a quiet weekend getaway. Panchgani is a good five-hour drive from Mumbai via the Mumbai-Pune Expressway. We suggest taking the car as it makes for a nice road trip to Panchgani, especially during the monsoon with lush greenery well-fed from the daily showers. The Hotel is not too far out from the main town and can be spotted via its big signage off the road. The hotel has gotten with time as its only improved itself keeping its traditional quirks intact. It offers 22 rooms across the cottages, a gorgeous and well-maintained lawn, and a swimming pool for the lazy swimmers during summer. The dining room is a big spread of tables and chairs, almost like a gymkhana setting with a proper four-course meal. We’ve been told the kitchen is run by the Javanmardi family and they bring in the nostalgia quotient to the brim. If all of this sounded fancy and straight out of a British novel set in the countryside lets us reiterate one very important fact – it’s quite affordable. Their poolside cottage is priced INR 4,000 per night, sunset cottage for INR 4,750 per night along with two other cottages, and the prices are inclusive of the bed tea, breakfast, lunch, high tea, and dinner! Head here for some quiet time in a gorgeous stay surrounded by lushness and sweet smelling flowers. Watching the sunset over the hills also makes for a compelling reason to go and stay at Hotel Prospect as we found the place to be heavenly. Pack light, pick up your favourite childhood books and head to Panchgani for relaxing weekend at Hotel Prospect. You never know, you may find your own short story at a cute hotel of Panchgani.